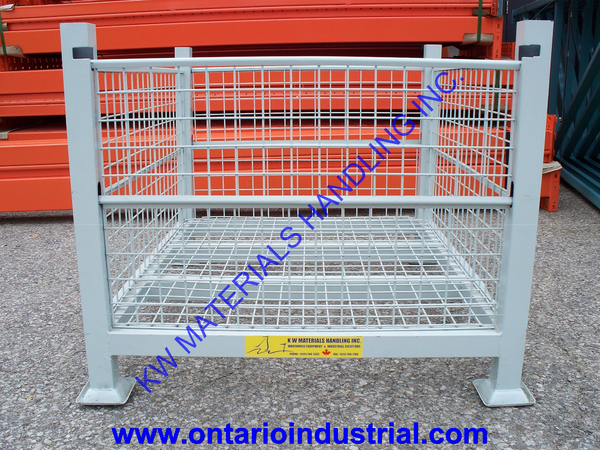 KW Materials Handling is Canada's largest dealer for new and used wire mesh baskets, stacking containers and automotive bins. We sell thousands of baskets and containers each year. 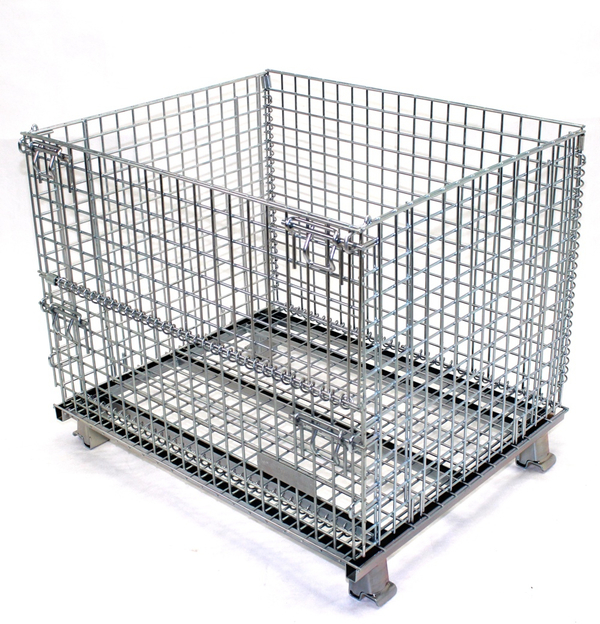 Our best seller is the used 34.5" x 40.5" x 29" high wire mesh basket with 2 drop gates and cup feet. 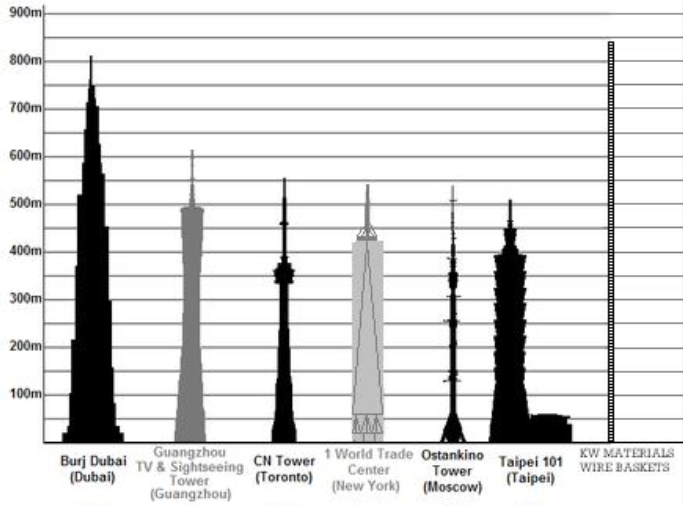 FACT: Every year we sell enough wire mesh bins that they would stack nearly twice as high as the CN tower and taller than the largest sky scraper in the world. 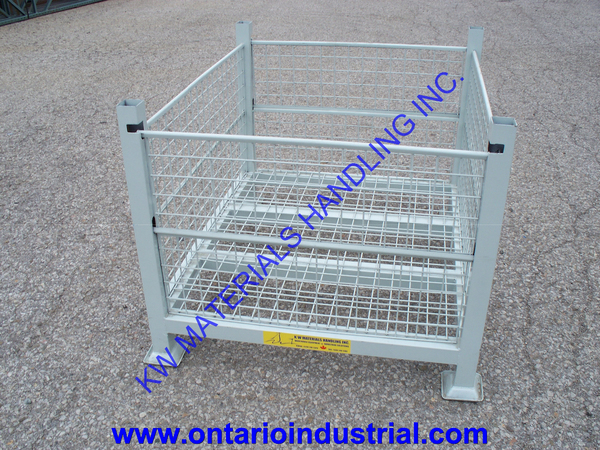 KW Materials Handling is your source for “Canada's Best Selling Wire Basket”. Our wire mesh containers are super strong, collapsible, and stackable; no one builds better industrial wire containers. We stock industrial wire mesh containers for use in distribution and manufacturing applications around the world. 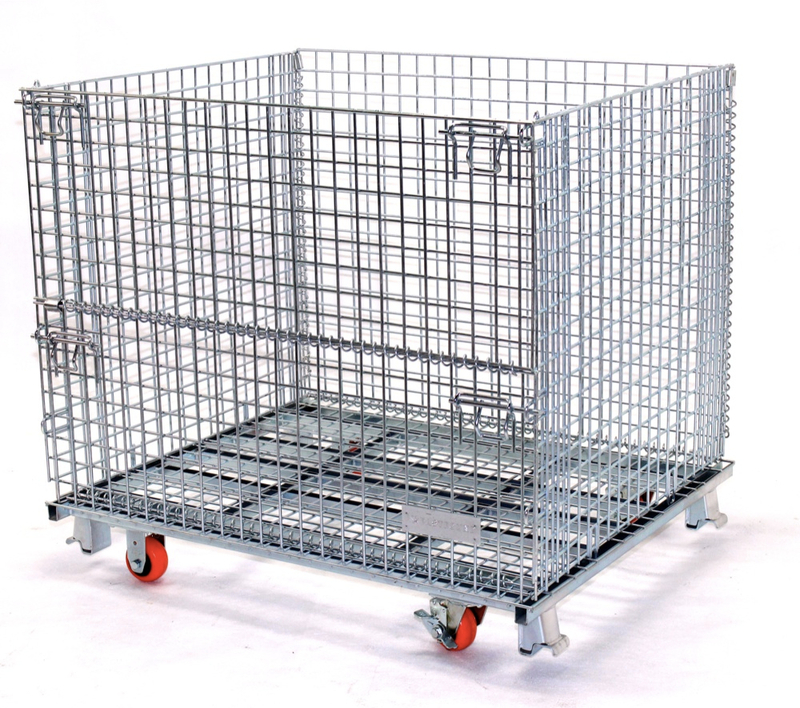 Our robotically welded industrial wire baskets provide strength and durability that is needed in any warehouse storage application. Each of our industrial wire containers is galvanized after weld, which provides a durable finish that will not wear or rust. 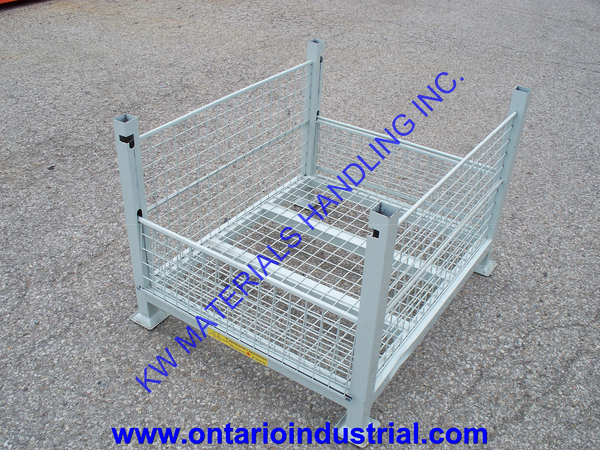 These collapsible wire containers are capable of stacking 10 high when baskets are collapsed or 4 high when fully loaded, which will save valuable space in the warehouse. We have 4 standard sizes, but we have the capabilities of manufacturing custom baskets to meet our customer’s specifications. 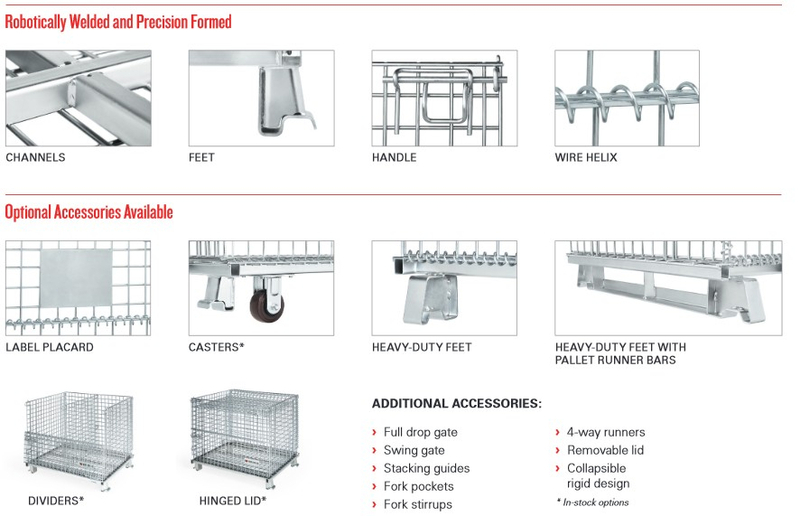 Optional accessories include label placards, caster kits, heavy duty feet, pallet runner bars, and more.